Choosing and buying a diamond ring can be one of the scariest and hardest things a man will ever do. But it doesn’t need to be that hard. When shopping for wedding rings London style, the only way to do it is to do your research and begin your journey as an experienced and knowledgeable buyer. Remember, just because you are buying the rings in London, it doesn’t mean they will be expensive.The Hatton Garden Jewellery district will be your first point of call. Everyone’s heard of the 4 C’s right?! Well, if you haven’t then here’s a quick guide. Many diamonds contain some inner flaws that appear during the diamond’s formation process. Diamonds are defined by their colour and the diamonds without any colour are considered the most desirable since they allow the most light (sparkle) in through their facets. This means, the whiter the better. You have probably heard of a. It is the measure of weight by which a diamond is defined. The larger the diamond, the more expensive the diamond will be. This refers to the Shape of the Diamond. Read more about the details of the 4 C’s and what they mean here in the GIA (Gemological Institute of America) Diamond Guide. Budget is everything to many and Diamond jewellers in hatton garden understand that. The benefits of buying in hatton garden is that with any budget, you can get you a lot of something and the first steps to getting that first class diamond ring is walking into a Hatton Garden Jewellers and talking to the shop owner. Think carefully at this stage because your future bride has probably thought about this part since she was old enough to dream about the big day. There are many diamond shapes to choose from and here’s a quick insight into what shapes you can get set into a ring. 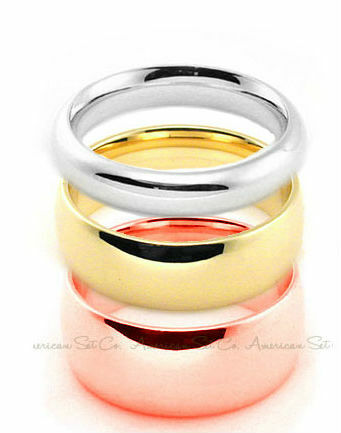 There are a few metals that you can choose from and it all depends on what you think will best suit your future spouse. There are not only metal types to choose from but colours too within the metal framework. Here we go! 9kt and 18kt – These two ring metals come in White, Gold and Rose Gold colouring. White gold is 18 carat. It is made of 75% pure gold with 25% alloy metals with silver and palladium. White gold has to be rhodium plated (which can be done in the back of the shops of many hatton garden jewellers in a matter of minutes) to make it whiter. Did you know that white gold is naturally a light grey or yellowish colour? Yellow gold is 18 carat. It is made of 75% pure gold with 25% alloy metals with copper and zinc. Platinum – The hardest of metals and naturally white, meaning your finger will bend before this does. Rest assured it will be the strongest metal out there, truly solidifying your devotion to your future spouse. Choosing the setting for the ring can be as important as the diamond itself. Choosing a ring that you feel will suit your fiancée’s hand is crucial to the decision making process. Don’t worry, it can be changed if it’s not the style your fiancée always dreamed of. 6. Once you’ve purchased it, insure it! Insuring your ring is probably one of the most important things you will ever do. You spend a lot of hard earned cash on this purchase, so if anything went wrong with it you’d be upset right? Well, be a smart shopper and insure the ring. This can be done within many shops, or if not they will offer you somewhere Hatton Garden approved that will insure your ring for you. This is the fun part! Make this part sweet, special and memorable and if you can make the family a part of it, do it. Video it, post it on youtube and facebook and make all your friends hate you and all her friends adore you forever. Finecraft Diamonds is based in Hatton Garden, London’s Diamond District. Online, Finecraft Diamonds can be found at www.approveddiamonds.com. They offer some of the best prices in town so if you’re thinking about popping the question and don’t know where to start then pay a visit to the shop and Finecraft Diamonds can help you to make the right choice. Finecraft is also on Facebook and Twitter. Get social with the finest in diamond jewellery.